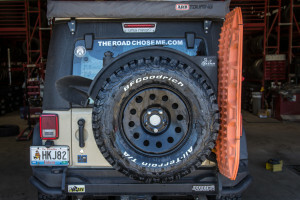 Wheel and tire choice to drive 80,000 miles around remote Africa is an extremely important decision. 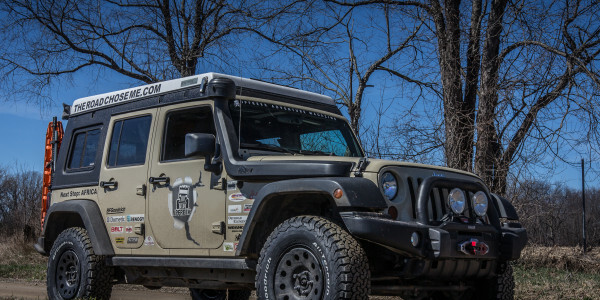 I expect to drive tens of thousands of miles on extremely rough terrain, and I expect to encounter basically every surface possible – from good highways to sand, mud, rocks, snow, rain and severely broken up paved roads with potholes, nails and every form of nasty imaginable. After a lot of research I decided the extra weight of a second spare wheel and tire was not worth it. 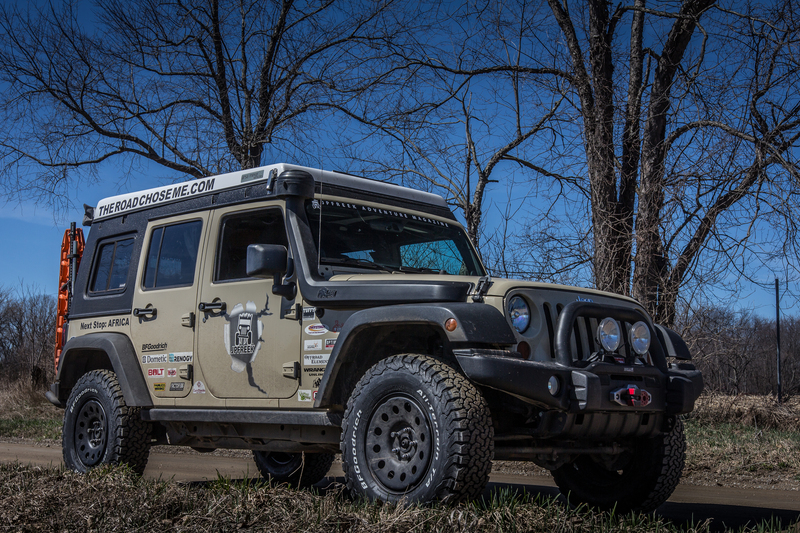 Mounting a second spare on the JK is an undertaking, and I’ve never talked to an International Overlander that wished they had a second spare. I’ve spoken to quite a few that actually ended up getting rid of their second spare in an attempt to ditch weight. From Alaska to Argentina I had a total of 16 flat tires, which always turned out to be a nail, a piece of steel, or some other object embedded in my admittedly low quality tires. For that reason I’m carrying tires spares and tools to deal with anticipated flat tires – namely spare valve stems and valve inners, spare steel lug nuts (not the OEM plastic covered ones which gave me trouble last time) and lug studs (I snapped one last time). I’m also carrying an ARB tire repair kit with plenty of plugs and an ARB Air Compressor mounted under the hood. I decided long ago steel wheels are better for a trip of this nature than alloy, primarily because they can be beaten back into shape with a sledge hammer in the event of damage. Beadlocks add weight and are not common in Africa, so I choose not to run them. With that in mind I’m running the Mopar Winter Steel Wheels in 17”, which have the added benefit of protecting the valve stem by tucking it behind the face of the wheel. 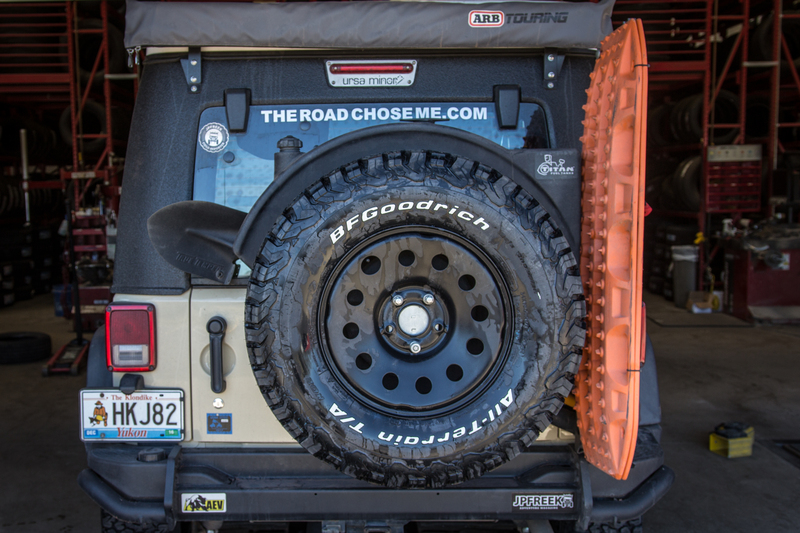 I had the wheels powder coated in a textured black to match the AEV bumpers, and a set of Rugged Ridge all-steel black lug nuts and locking nuts finish the look nicely. 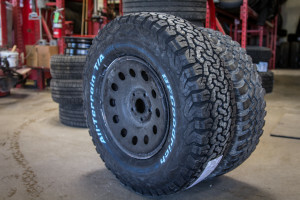 Should I need to replace an entire tire due to a sidewall tear or similar, 17” tires will not be as common in remote Africa as 16” tires, though I’m told there are enough high-end 4x4s getting around using that size to make them available, albeit expensive. 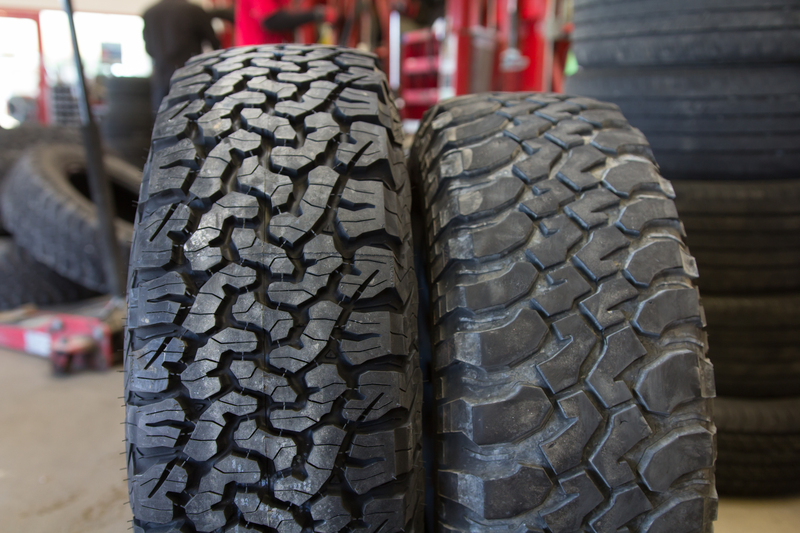 For tires I need as much capability as possible, without badly impacting mileage or handling of the Jeep. I also don’t want to run wide tires that require the use of wheel spacers, because that introduces another point of failure, and puts more stress on steering components. 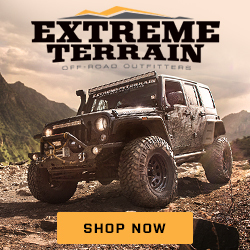 The choice between Mud Terrain and All Terrain comes down to durability and longevity. 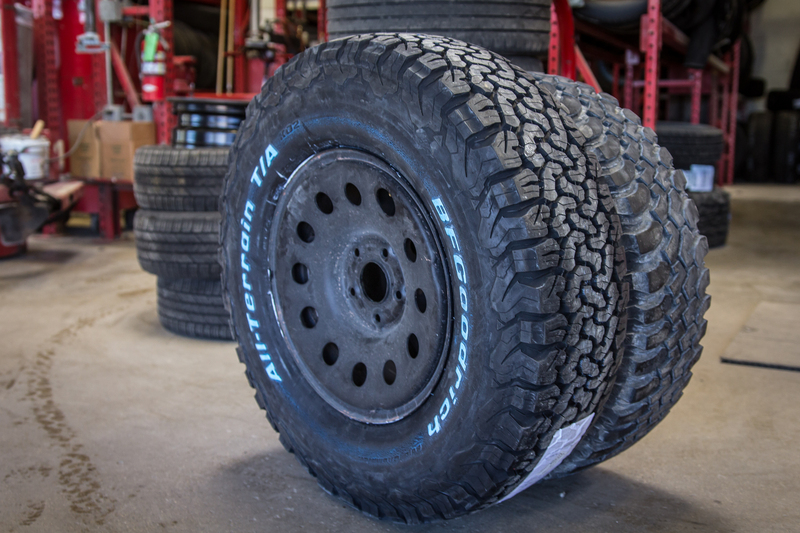 A long-lasting tire is very important. 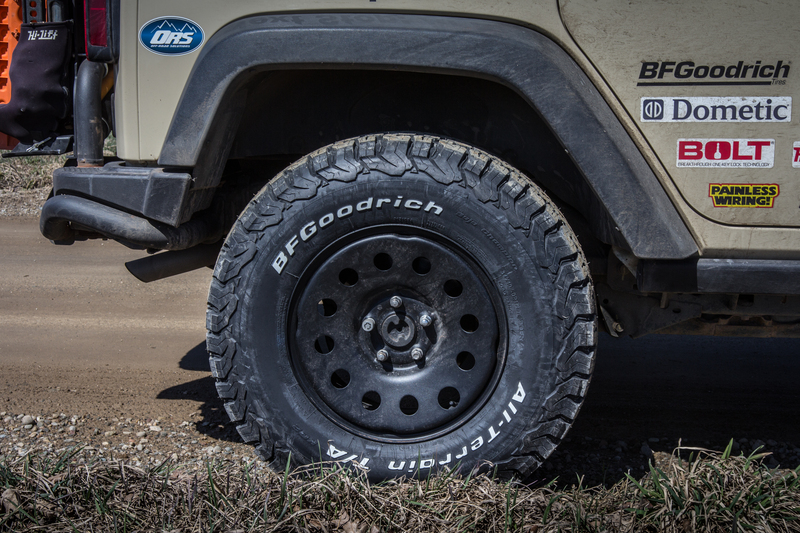 After hundreds of hours of research I’ve chosen the BFGoodRich KO2 All Terrain in 34×10.5r17 size. This is BFGs latest A/T design, and at that size they are almost identical in width to the stock Rubicon 255s I’ve been running, and add almost two inches of height, filling the guards nicely. I’m already extremely impressed with the tires – from the first minute of driving I noticed they are much, much quieter and smoother than the old worn-out Mud Terrains. The steering wheel is now completely free from vibrations at any speed. 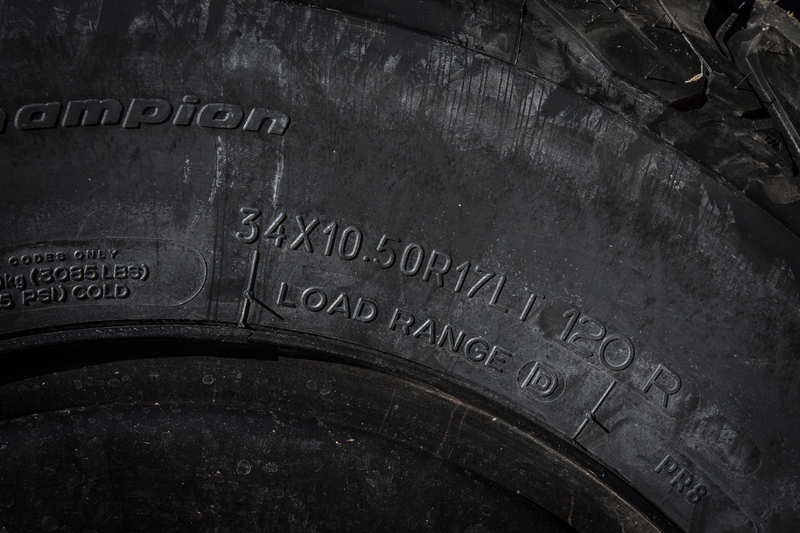 The tires have already performed well on the highway in a torrential downpour, and in a sleet/rain/snow mix. 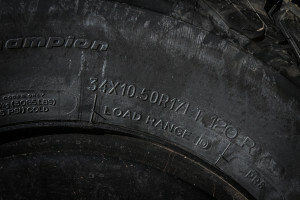 So far mileage appears to be a wash between the two tires – the extra diameter of the 34” tires is keeping the revs a little lower at 65mph in 6th gear. 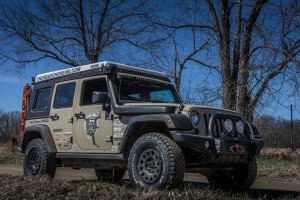 After hundreds of hours of research, I strongly believe the steel wheels, AEV 2.5” lift and these BFG KO2 tires are the best possible combination for an overland journey of this nature on a JK Wrangler.